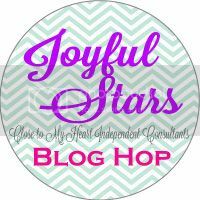 Welcome to the Joyful Stars Blog Hop. I'm so glad you are able to join us today. If you arrived from Joyce's Blog, then you are on the right track. 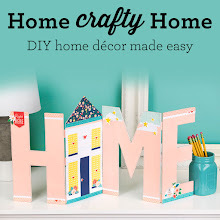 I hope we inspire you with our Spring and Easter projects. 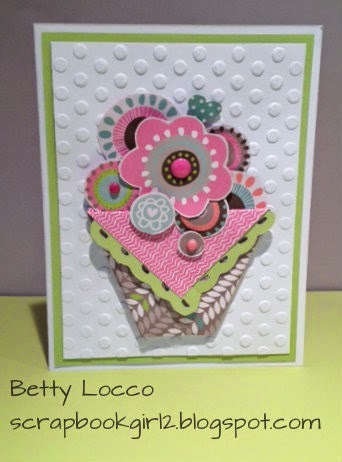 Today I have a card made using the Lollydoodle Paper. I bet you could have guessed that, couldn't you? The "basket" holding the flowers is made by folding a square piece of double sided Background and Texture Paper in half on the diagonal. The pattern used for the basket is on the outside. This card is a standard card (4 1/4 x 5 1/2) and the square was cut at 5". You can make your basket any size you like. 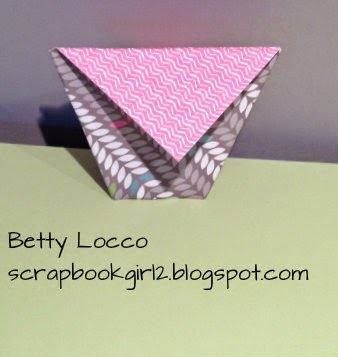 Fold the right bottom corner over to the left side of the triangle. Next, fold the left bottom corner over to the right side. 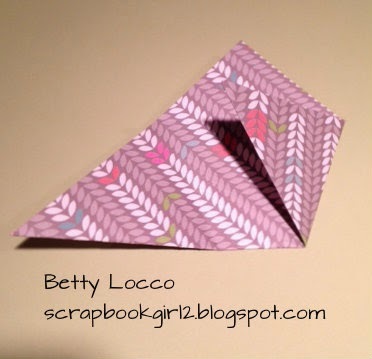 Then fold the top triangles down - one toward the front and one toward the back. And there you have it! A cute little basket that you can fill with all kinds of goodies. It would make a great Easter basket with a little filler and some eggs. The Art Philosophy cartridge has some cute eggs on page 57 of the booklet. Flowers in the basket make a great Mother's Day card. I cut the flowers by hand from the Loolydoodle flower pattern paper and mounted some of them with mounting tape to give the card dimension. You could also cut flowers using the Art Philosophy cartridge or you could use silk flowers too. To finish off the flap, I cut a border in Sweet Leaf and adhered it to the edge. The border is on page 62 of the Art Philosophy booklet - it is the font button cut at 1" and then cut in half. The white layer of the card base is made with the new CTMH "Dot" Embossing Folder. 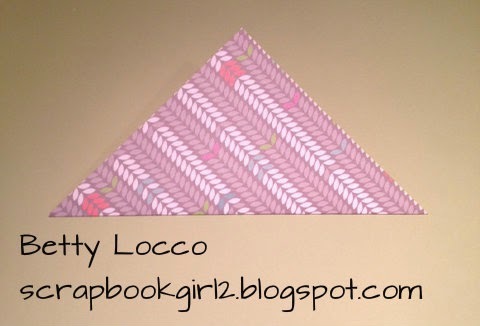 This pattern reminds me of "Dotted Swiss" fabric. Please let me know if you have any questions or need any help with anything. 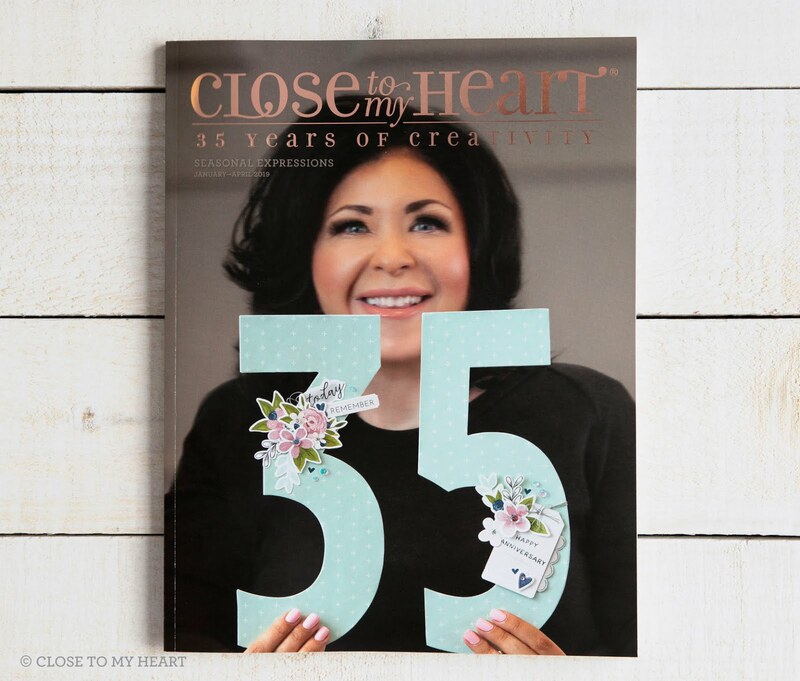 Now it is time to hop on over to Crystal's Blog to see her new creation. What a lovely, sweet card. Thanks for the photo tutorial on the basket, I'll need to try that! Great card, thanks for the details. I like you style! I love the little basket. Cleaver idea and cute card! 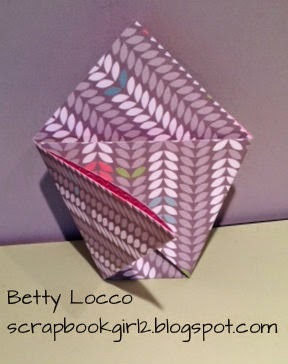 Love your card Betty. It is really cute. Great card Betty. Boy, that basket is an oldie but Goodie. Thanks for jogging my memory. Love the card! I haven't made one like this yet.